Join us for the beautiful Healing adventure of a lifetime in the heart of mexico's Yucatan PeniNsula! By a fresh water lake known through the ages for its healing properties and its 7 colors of blue! At a private lagoon front holistic center full of secret gardens & saturated colors, join artists Mati McDonough and Faith Evans-Sills on a journey to creativity, healing and restoration. Join us in Bacalar, Mexico for a luxurious week long retreat of slowing down and sinking deeply into relaxation in the heart of Mexico's topics, allowing the rest of the world to fall away for this time, we'll wander colorful streets, soak in the turquoise waters & enjoy workshops bursting with creativity and inspiration gathered on location as we journey in this historic land full of beauty. This will be a time to nurture the whole self, to slow down and soak in the environment with all of your senses. 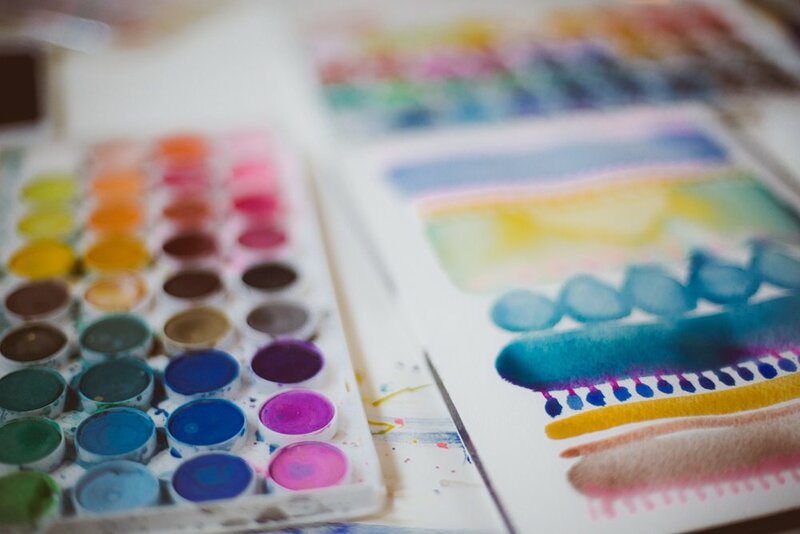 Mati & Faith will lead you through workshops on capturing inspiration with watercolor paint, providing you with the opportunity to meet the projects wherever you are in your art practice. Located on Mexico's Yucatan Peninsula, with a tropical climate, interesting art scene and historic architecture, San Miguel de Allende is a favorite among expats looking for a low key and charming existence. Known for its "eternal springtime" weather, sunny skies and walls dripping with Bouganvilla, San Miguel is the ideal mid-winter escape. Mati & Faith have each traveled to Mexico's Yucatan Peninsula a few times over the years, having fallen head over heals in love with Mexico's vibrant culture and colors! We can't wait to slow down and share the inspiration with a small group of kindred creative women. 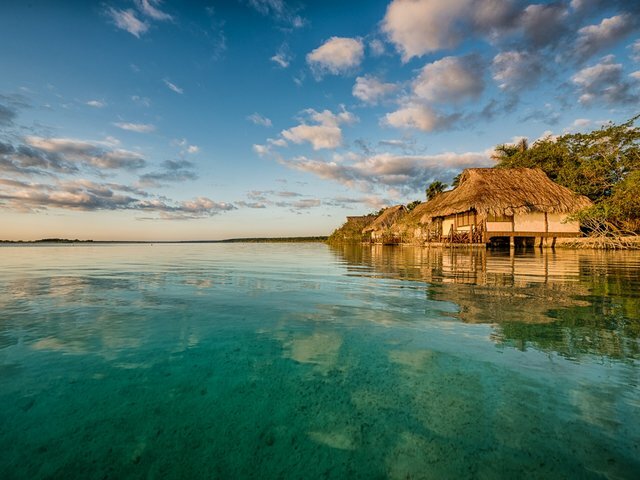 Bacalar Lagoon is the perfect place to step out of our busy lives, restore and refresh our spirits together. Inspiration Gathering with Watercolor Painting will be our jumping off point as together we'll delight each of our senses with fresh food, walking tours, field trips down secret alleys, soaking in hot springs and so much more. Consider this your invitation to join us on the adventure of a lifetime in Bacalar, Mexico, January 28 to February 3, 2019. 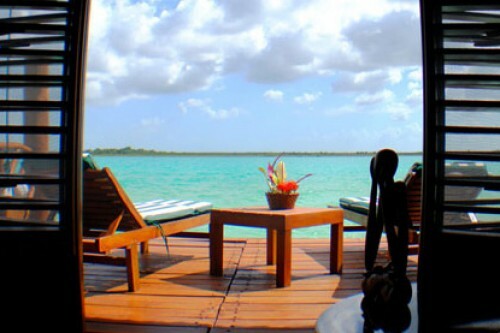 WE WILL BE STAYING AT THE MOST MAGICAL PLACE...a private lagoon front resort & holistic center in Bacalar, Mexico. NESTLED IN ITS OWN PRIVATE GARDEN OASIS, THE PRIVATE VILLA IS A STYLISH, CHARMING AND HOME-LIKE RETREAT THAT IS LOCATED WITHIN THE HEART OF SAN MIGUEL DE ALLENDE, IT IS THE PERFECT LOCATION FROM WHICH TO EXPLORE THE TOWN OF SAN MIGUEL ON FOOT. THREE GUEST ROOMS ARE SINGLE OCCUPANCY, OTHER GUEST ROOMS ARE DOUBLE OCCUPANCY. $900 NON-REFUNDABLE DEPOSIT REQUIRED TO HOLD YOUR SPOT. TOTAL BALANCE IS DUE OCTOBER 15TH, 2018. PAYMENTS PLANS ARE AVAILABLE, PLEASE SEE FAQ'S BELOW FOR DETAILS. Arrive in Mexico. We suggest you plan your landing arrival time no later than 3pm local time. Transportation from the airport to our Villa will be provided. You'll have a chance to refresh yourself and settle into your beautiful home away from home , take a dip in the pool, relax on the roof top terrace, or explore the neighborhood. The Retreat will begin with an Opening Circle at 6pm, followed by a three course catered welcome dinner at the villa. Breakfast at the Villa, along with an inspirational workshop on Watercolor Painting. Then it's off for some adventuring. Guided tours of San Miguel will be taking place, along with excellent guided shopping. We'll have lunch at a magical restaurant in town. Dinner will be enjoyed on your own at a fantastic selection of restaurants that we recommend in town. Breakfast at the Villa, followed by a free day for you to enjoy as you like. Sink deeply into relaxation with a massage, try an adventurous hot air balloon ride or take a day trip to explore an ancient pyramid archeological site, wander the streets & re-visit favorite shopping and dining spots that you've already explored. There is so much to explore in San Miguel, you'll have the chance to go deeper and enjoy everything that this beautiful location offers. Breakfast at the Villa, followed by an adventure to La Gruta Hot Springs and Spa where we'll soak in the natural thermal hot springs and enjoy lunch on the grounds there. The afternoon will be yours to explore San Miguel as you wish with free time for additional shopping and sightseeing in town. In the evening we'll reconvene at the Villa for wine and painting at sunset on the rooftop terrace. You'll enjoy dinner on your own at a fantastic selection of restaurants that we recommend in town. Breakfast at the Villa, followed by a continuation of our Watercolor Workshop: Harnessing Local Inspiration with Watercolor. Lunch will be on your own in town. In the afternoon we will have the option for a final walk around town or another shopping trip to the artisan market, ending in the central square at dusk. In the evening, we will have a beautiful closing circle, art viewing of our work from the week and celebration of our time together over a 3 course farewell dinner at the Villa. Breakfast at the Villa followed by check-out and transfer to the airport. Yes! Upon receipt of your $900 non-refundable deposit you may divide your remaining total into up to 2 separate payments. Total balance is due on or before December 15th, 2018. One massage treatment on site at the Resort's Holistic Center Spa. Your airfare is not included in the cost. Any meals eaten off of the Resort grounds, any beverages including alcohol, that you choose to purchase. Anything you buy in the markets or on various trips will not be covered as well as any extra tours or excursions that you choose during your free time if you choose to go. Our private Villa is a luscious and intimate retreat space, we will have the entire property at our disposal. Each of their rooms are uniquely beautiful with en-suite bathrooms. Three of the rooms are single occupancy with one king bed which will be given on a first come first served basis. Bed sharing is optional for these King bedrooms, if you choose to share a bed with someone you know & love you will each pay the double room rate, saving $400. The other 2 rooms are double occupancy with two twin beds per room. We will do our best to pair you up with someone we think you'll match well with. On our retreats the sharing of rooms has fostered close bonds of friendship within the group. How do I get to Bacalar from The airport and back again? We will secure group transportation to and from using a transportation service. When booking flights please plan your landing arrival at Cancun International Airport as close to 2pm local time as possible. On our departure day all group shuttles will leave for the airport by 10:30am, earlier flights can be accommodated. When booking your flight please fly into Cancun International Airport, which is about a 3 hour drive from Bacalar Lagoon. We recommend booking your flights at least 90 days before the beginning of the retreat. Bacalar, Mexico is known for having gorgeous tropical weather. Weather in January is likely to be in the 70's. It is expected to be a bit cooler in the evenings with highs in the 50's. How should i expect to dress in Bacalar, Mexico? This colonial city has an overall relaxed atmosphere and an interesting mix of people. San Miguel serves as a haven for retirees, a destination for artists (there is an art school & so many galleries) and is still a Mexican city at its core. The area also hosts many outdoor festivals & concerts. When planning what to wear in San Miguel think "casual city chic" with light layers for the changing mountain weather. The city is best explored on foot, through the narrow alleys and cobblestone streets so opt for comfortable shoes, sneakers or sandals. San Miguel is a cultural city, most of our activities will center on the historic city center, exploring charming shops and markets, admiring the colonial architecture, visiting galleries and musuems. Plan outfits that will work for exploring but will also be nice enough for a relaxed dinner in town. We will send you a supply list two months before the start of the retreat. Art supplies will be minimal and will include two 8 x 10 cold-pressed watercolor paper pads, a travel watercolor set full of your favorite colors and a roll of watercolor brushes. We also recommend that you bring an extra bag (a collapsible duffle) to bring home your goodies you have collected on our shopping trips. San Miguel is known for its artisan markets and truly has some amazing shopping! The temperatures will vary, so don't forget layers, pack a bathing suit, sweater and a light jacket! Absolutely! This retreat is much more focused on adventure and gathering inspiration, taking notice of your surroundings and approaching your life from a creative and holistic point of view. Painting is just one of the tools we'll encourage you to explore on this retreat. It will be a mix of laid back down time, exploration, pampering and immersion into a vibrant, lively culture.